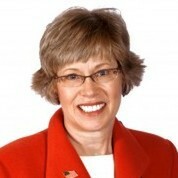 Rebecca Sink-Burris has passed the 2010 Political Courage Test. Blog: We're Just Getting Started! Rebecca Sink-Burris received $3,000 in donations on this day. Blog: Don't Be Fooled. Again. Rebecca Sink-Burris received $600 in donations on this day. Rebecca Sink-Burris received $3,600 in donations on this day. Rebecca Sink-Burris received $750 in donations on this day. Rebecca Sink-Burris received $7,500 in donations on this day.